TeamViewer is an application for remote control, desktop sharing and web conferencing between iOS and macOS devices. 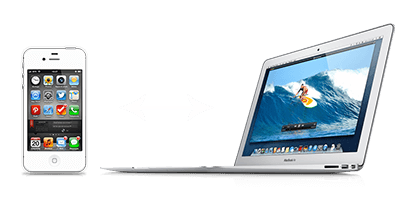 If for any reason you need to remove TeamViewer from your Mac, follow this article. We will share two methods on how to uninstall TeamViewer completely and correctly. Remove TeamViewer from Mac manually. 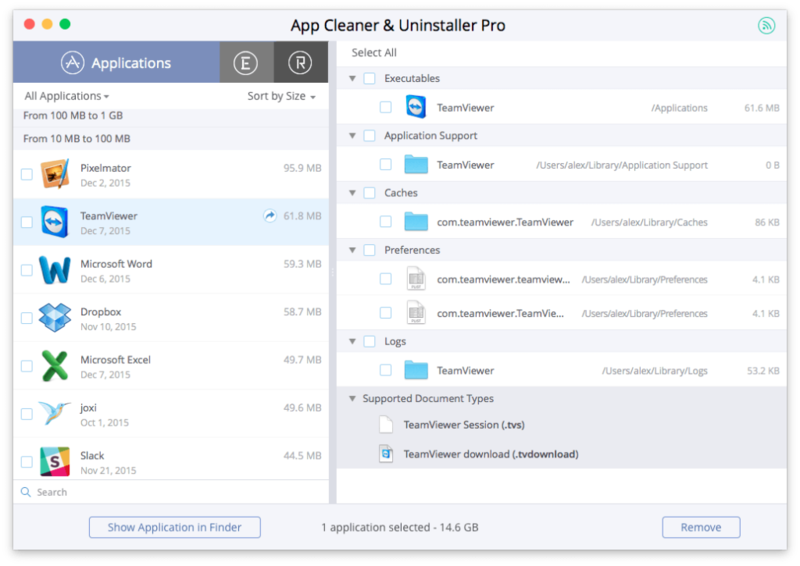 Uninstall TeamViewer using App Cleaner. Make sure that TeamViewer is not running and close it. 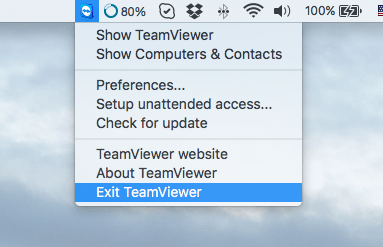 To do this click on the TeamViewer’s icon on the Menu bar and choose Exit TeamViewer. 2. 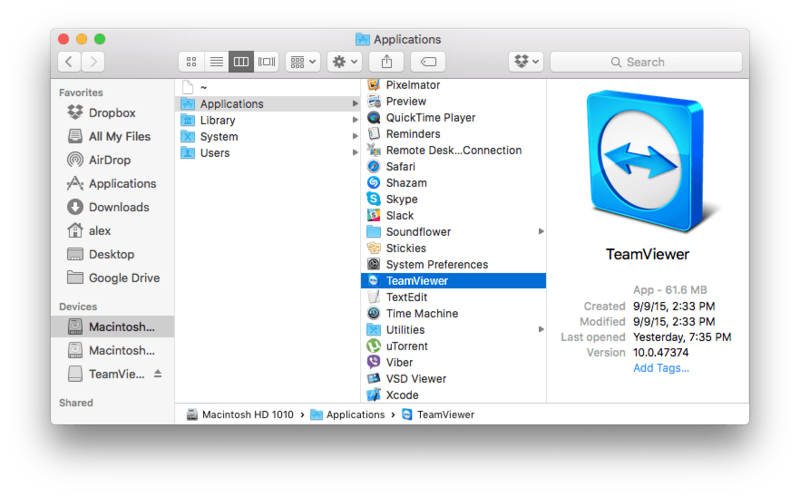 Open the Applications folder in Finder and find TeamViewer there. Remove it to the Trash. For easy navigation use the ⌘+⇧+G key shortcut. 4. Then reboot your Mac and TeamViewer will be completely removed. Find TeamViewer in the list of apps. Select an app and all its system files.